X Factor NZ – Goodbye Anna, goodbye. 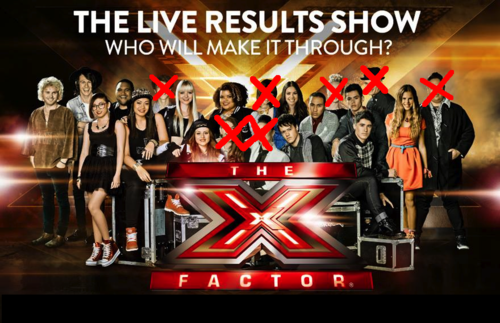 June 17, 2013 JawkwardLOLLeave a Comment on X Factor NZ – Goodbye Anna, goodbye. Gap 5 and Anna Wilson were in the bottom two tonight and Gap 5 deserved to be saved based on their survival performance, Anna did relatively well last night but her performance tonight was lackluster. Pretty stink because I could think of two or three other contestants who deserved to go home after last night. But them’s the breaks. – Stan’s out of contestants, sorry brew. Next The Price of a Kidney.